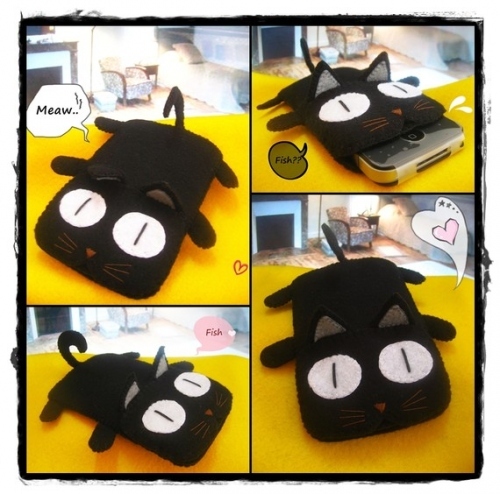 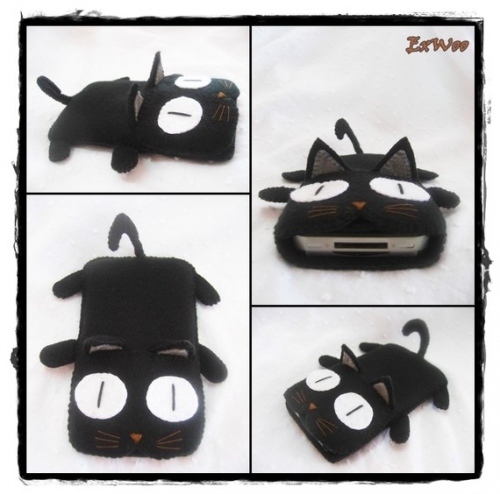 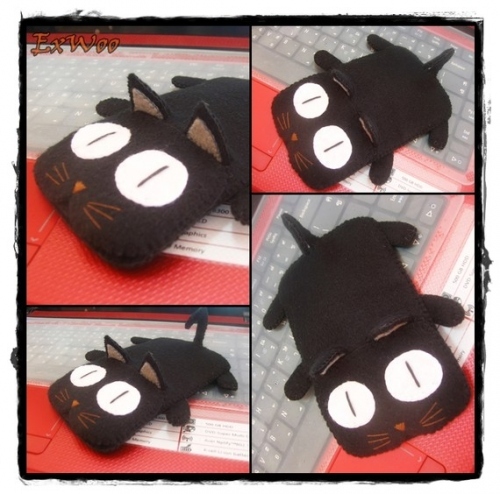 This handmade Black Cat iPhone/iPod/cell case is made of japanese felt. 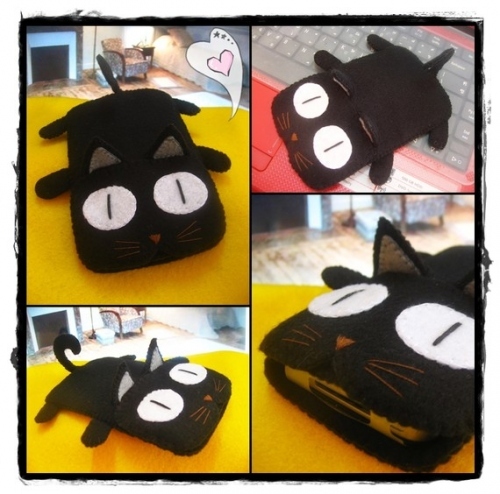 It´s made with a double sheet of black felt to give extra strenght. 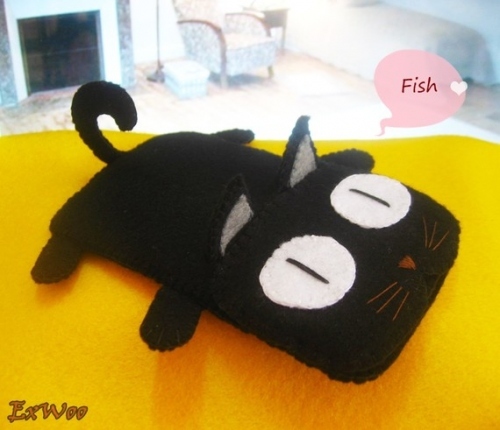 * 100% Sewn by hand.